Three bedroom villa in Protaras with sea views. 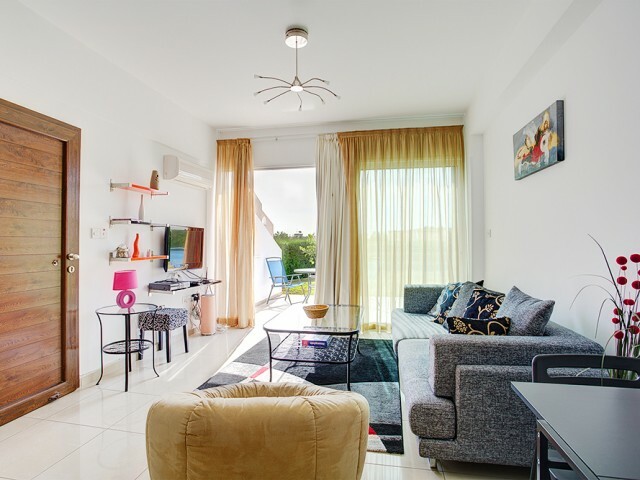 In walking distance of a sandy beach, cafes and restaurants, a supermarket, convenience bakery, pharmacy and much more. The villa is fully furnished, the spacious kitchen with a dishwasher and coffee.. The well-equipped three bedroom villa in Cavo Greco. In walking distance of many restaurants, supermarkets, fruit markets, water sports and much more. The cozy courtyard with all necessary furniture, covered seating area, barbecue area, parking. O..
Villa with 3 bedrooms located in a complex near Cavo Greco, just 200 meters from the local beaches. At the villa garden furniture, covered seating area, barbecue area, parking. Air conditioning is available in all rooms. The dining area consists o.. The villa is located in a well maintained complex in the area of Cavo Greco, just 200 meters from the local beaches. At the villa garden furniture, covered seating area, barbecue area, parking. Air conditioning is available in all rooms. The dinin..
Beautiful ground floor apartment in a gated secure complex in the tourist area. The complex has a large swimming pool, a gym and a very nice area in a gated complex. The apartment has a spacious living room, open plan fully equipped kitchen, spaci.. The villa is located in one of the most prestigious complexes of Protaras. The beach is 700 meters away, close to bars, restaurants, shops, water sports and much more. The complex offers its own children's playground. On the ground floor a spaciou.. 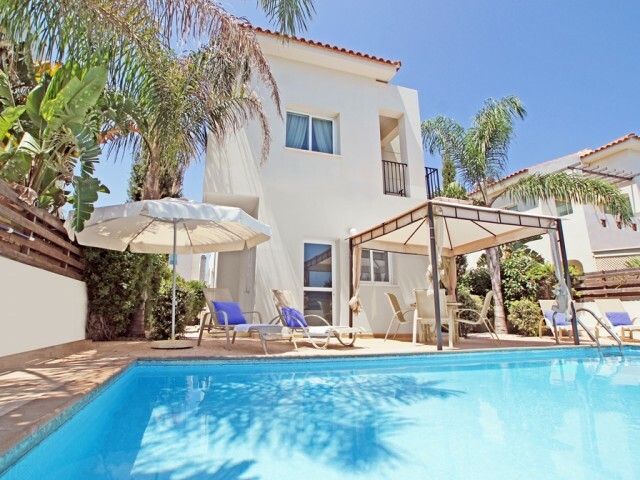 The villa is located 30 meters from the sea and the most beautiful beach in Paphos. Three spacious bedrooms, three bathrooms, a spacious lounge and a kitchen. Private swimming pool, garden with fruit trees. 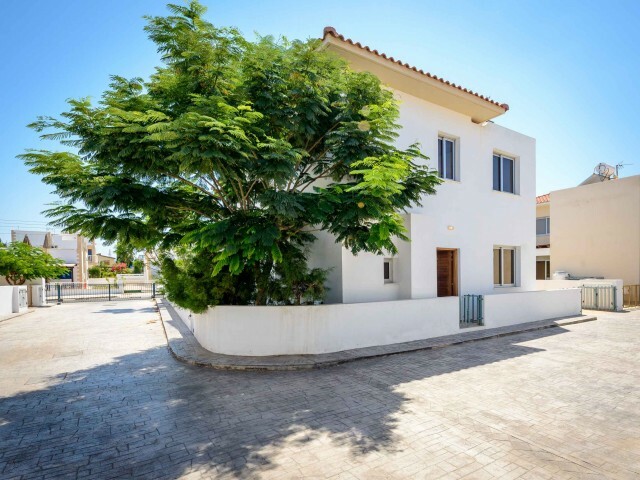 The villa has solar panels for water hea..
his is amazing three bedroom villa is situated on a quite location in Kapparis, only 300 metres from Firemans Beach and a short walk to all amenities. As you walk in, you will find a light and airy open plan living space which sliding doors will t.. 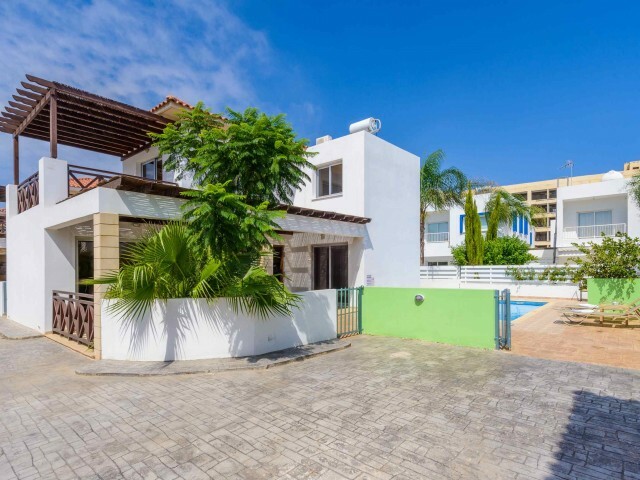 This superb villa with two bedrooms and a private pool and sun terrace in a great location. The villa also has private parking and a beautiful garden with mature trees. The villa is ideal for an unforgettable holiday with lots of space and luxury ..